Love this post - I have so many memories of my mom tied to artichokes. I was a picky eater when I was a kid, which is ironic now since I want to try everything and cook constantly! 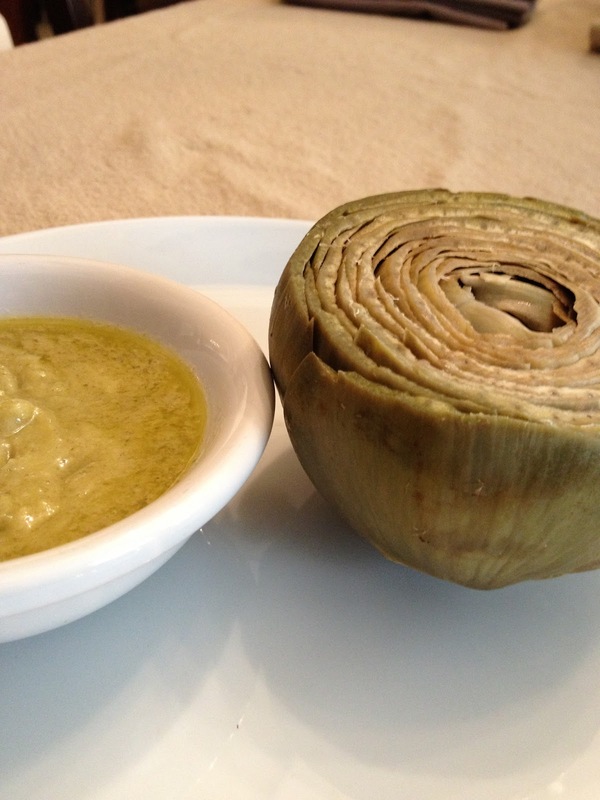 My mom would buy artichokes and steam them up for a random weekday lunch and they piqued my elementary-aged curiosity because they were such a bizarre looking food item. I remember when she finally convinced me to give them a try and how delicious they were dipped into melted butter...yum! Thanks for triggering such a great memory of my mom, and I can't wait til my daughter is old enough for me to convince how delicious artichokes are. When my daughter was about 6, we had guests who brought steamed artichokes for a potluck. She politely inquired where the drawn butter was, tut tutting that the guest had not provided this. I raised her right. I make 8 at a time, but I stuff with a bread crumb mixture for my spouse. I think they're tasteless but they are just like his nonna used to make - Italian comfort food. Speaking of Italy, countless outdoor markets feature a little old lady peeling artichokes down and chucking them into a bucket of acidulated water. I took a cooking class there, artichoke risotto, and we did likewise, using the peeled and chopped stem in with the sliced, cleaned choke. Yum. We always have bubbles in the fridge - you never know when you'll need them!